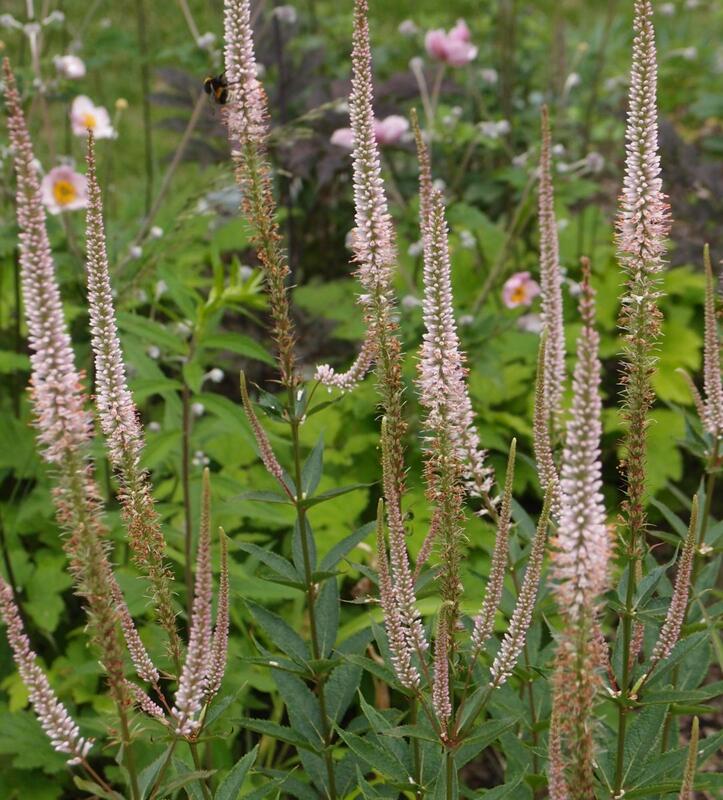 Veronicastrum virginicum 'Erica' is an outstanding selection of a North American native wildflower, deserving a special spot in any sunny border. This forms a tall, bushy clump of dark-green leaves, bearing huge branching upright spikes of red buds that open into tiny soft-pink blooms. Flowering starts midsummer and continues into the autumn. Superb as a cut flower and attractive to butterflies. A tall erect perennial with spring foliage emerging beautifully tinted purple. 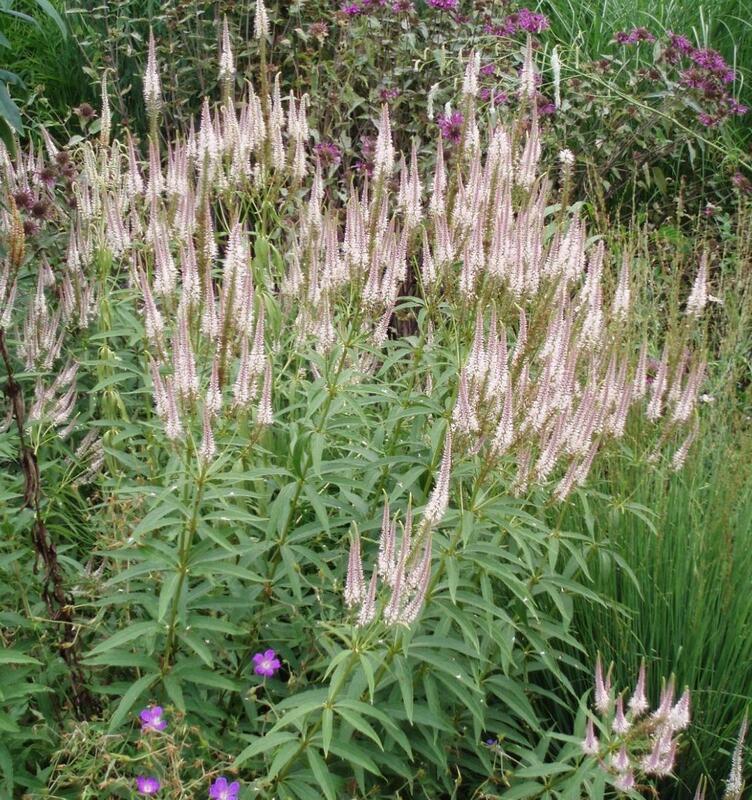 Tall 1 metre high stems with long spikes of pale pink flowers from mid-summer to early autumn. Height 1.6m Spread 45cm. A beautiful pink flowered selection with distinct deep pink/red buds. Average to good soil in sun.